London: Mosques in Britain refused to perform the last rites of Salman Abedi, the suicide bomber who blew himself up at an Ariana Grande concert in Manchester earlier this year, killing 22 victims. The remains of the 22-year-old were flown to Tripoli in Libya, the country of his origin, where the burial was conducted, according to The Sun. But he was still reportedly denied an Islamic burial ceremony. "After Manchester mosques refused to bury the remains of terrorist Salman Abedi, British authorities allowed his family to move him to Libya, where he was buried in Tripoli," claims Noman Benotman, of anti-extremist think tank Quilliam. Abedi grew up in Britain and is thought to have visited the North African country from where his parents had emigrated regularly in the last six years. Libya is a hotspot for the Islamic State terror network and Abedi is believed to have been trained in bomb-making by an Islamic State explosives expert, a former car mechanic from the West Midlands region of the UK.The news of his burial emerged as another media report claims the UK's intelligence officials missed key warnings that could have put the Manchester bomber under surveillance as a "high-priority" target. The Sunday Times reports that the failure to act properly on the intelligence emerged in an MI5 internal review sent to UK Home Secretary Amber Rudd. "There were a few calls made regarding several bits of intelligence which, if judged differently at the time, would have turned Abedi into a high-priority case," an intelligence source is quoted by the newspaper as saying. "And when a target is judged a high priority, you should place them under surveillance. The greater the threat, the more resources you deploy for surveillance," he added.The detailed analysis of all intelligence received in the build-up to the Manchester attack on 22 May is understood to focus on information passed to an MI5 regional office. While the information was not considered of high significance when received, it was judged upon reassessment to be enough to have raised serious alarms about Abedi. 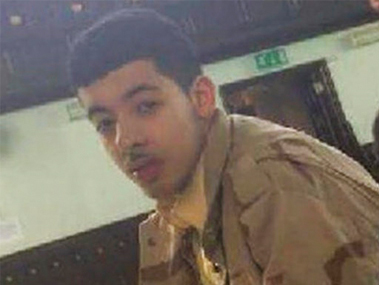 It had emerged last week that Libyan authorities are processing a request from Britain to extradite the younger brother of the bomber, Hashem Abedi, to question him on his role in aiding the attack at Manchester Arena. Salman Abedi blew himself up at the end of the Grande concert in one of the deadliest terrorist attacks in Britain. The 22 victims included seven children and more than 500 people were injured, with 112 people needing hospital treatment after the attack and 64 suffering "very serious" injuries.